I have a lot to say about Bulgaria and anyone who knows me has heard it all! I just adore it. I have visited several times and always try to spend at least two to three weeks travelling along the coast and the interior if I have time. Highlights for me are Veliko Tarnovo, Sozopol, Nessebur, Obzor and Bansko. I will write blogs for each of these places but for now just a brief starter for my brand new blog I will start with Sozopol; a breathtakingly beautiful coastal town of cobbled streets, medieval architecture and powdery golden sand beaches. The sea is clean, the air is pure and the food is wonderful. There is lots to see, the town is small but you will meander around the cobbled streets for hours, enjoying the beautiful architecture of the Bulgarian revival houses, visiting the museums and dainty churches, staring in awe at the beautiful art work, frescoes and golden icons inside. For lovers of shopping you will be seduced by the arts and crafts on display as you browse in the pretty little shops filled with local craftsmen’s goodies. Soon your feet will throb and you can stop and enjoy a dollop of homemade ice cream or a delicious slice of gateaux and a latte in one of the many cafe’s. Be prepared to be surprised by this little town, not only for its beauty but for the elaborate history and important archaeological sites. It has been ruled by Ottoman’s, Romans, Turks and Greeks. It is here the bones of St John The Baptist were discovered during an archaeological dig in St Ivan island. You can now view the bones in a tiny glass casket inside St George’s church. And if your penchant for history leans more towards ‘The Dark Side’ you will be thrilled to know that a skeleton was also recently dug up, nothing too unusual about that; until you discover it had an iron stake lodged where its heart used to be. 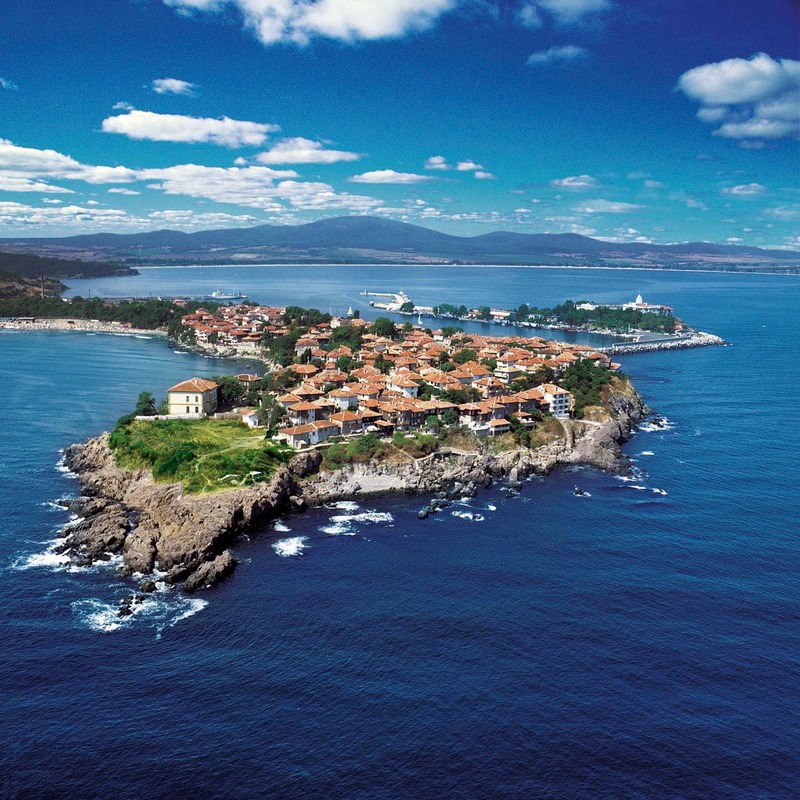 Oh yes, Sozopol has the lot, romantic cobbled streets, breath taking sea views, lovely safe clean beaches, delicious food, shopping, saints and vampires! These are situated high up on the Bujaka hill, the views are outstanding, it is a good 30-40 minute walk down to the old town and resort but I think it is worth it to stay up there on the headland because the views from your balcony and during the walk are incredible. ( obviously ask for a higher up apartment) The apartments are spotlessly clean, spacious and have everything you will need to enjoy a relaxing stay. Thomson Balkan Airlines and Thomas Cook fly Manchester & London to Burgas in Season, May-September. Balkan Holidays are the main tour operator offering packages if you prefer to go that way. From USA check with international carriers, USA you will probably have to change in Sofia or UK. Other European countries, try Bulgaria Air and Wizz Air and local carriers. By Train, via just about anywhere in Europe! By Car, drive in Via Greece, Turkey, Macedonia, Serbia or Romania. Next postGround Hog Day Blues.